The security screening area at Denver International Airport. 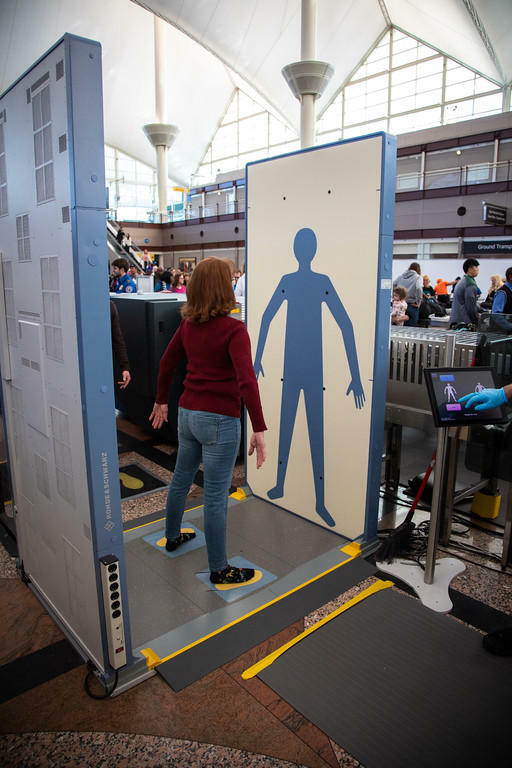 It's appealing to travelers who might have an injury or disability, said Carrie Harmon with the Transportation Security Administration, or TSA. "There are some people who are uncomfortable for whatever reasons with holding their arms over their head." Another advantage of this $300,000 machine, said Harmon, is that this new technology takes only one second to scan in contrast to about six seconds for the older machines. Harmon said this new scanner also has some improved detection capabilities. 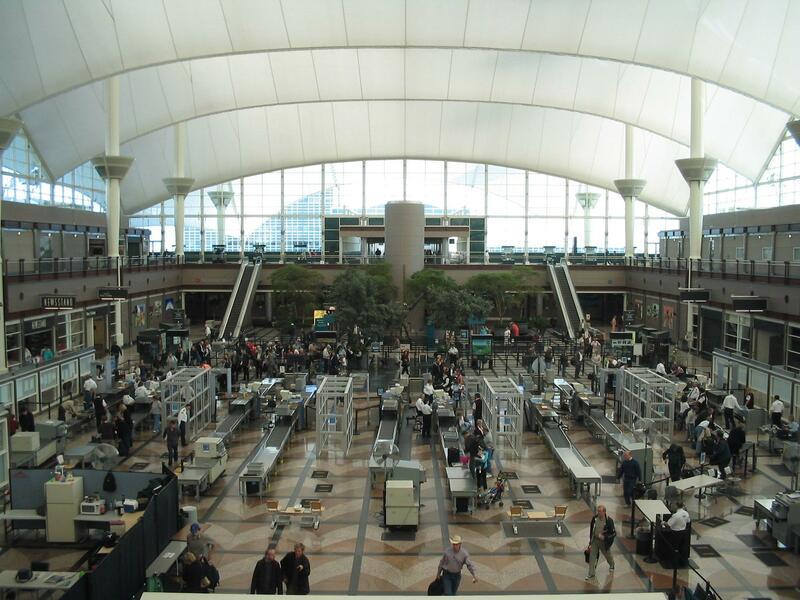 The Denver airport is the fifth busiest airport in the country. If this trial goes well, other airports around the country could adopt the technology. Large drones may soon be flying in and out of the Powell Municipal Airport. The state of Wyoming might help with the cost of a drone manufacturing plant there. If so, it will be one of the first public airports in the nation to allow drones and manned aircraft in the same airspace. Powell’s Municipal airport, on the top of Polecat Bench, is relatively quiet much of the time. Later this month the Wyoming Legislature will be asked to consider a bill that will hopefully stabilize Wyoming’s Air Service. Senate Vice President Michael Von Flatern of Gillette is the main sponsor and he joins Bob Beck to explain the concept.